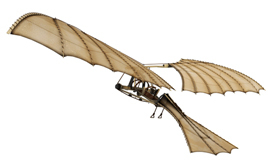 Kenner’s Ornithopter Mark I draws inspiration from the drawings of Leonardo da Vinci. I’ve always been drawn to toys that combine fun and scientific principles – like the Ornithopter Mark I from Kenner. Released in 1969, the toy with the tongue-twister name drew its design inspiration from Leonardo da Vinci’s 15th-century drawings of imaginary flying machines. 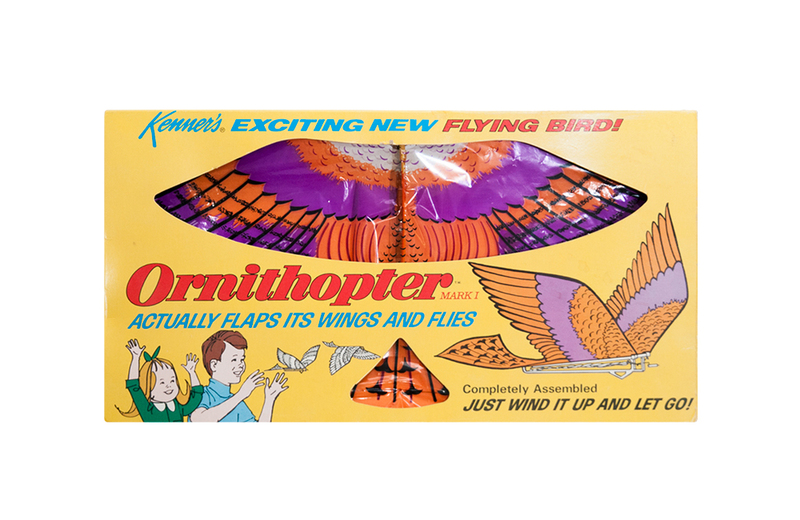 Like da Vinci’s imaginings, Kenner’s Ornithopter achieved flight by flapping its wings, thanks to an engine powered by a simple rubber band (referred to as a “power band” on the packaging). The toy came pre-assembled, offering immediate airborne gratification. All the user had to do was wind up the rubber band drive and let it go. On a calm day, the Ornithopter could remain airborne for 30-45 seconds before needing a human recharge. After Kenner’s three-year run with the Ornithopter ended in 1971, the flying bird concept continued to appear in pop culture from time to time. A sci-fi version of an Ornithopter can be seen in the 1984 movie Dune from David Lynch. Fans of the trading card game, Magic: The Gathering also have access to a creature called an Ornithopter during game play. And a more modern take on Kenner’s version can be found in the remote control FlyTech Dragonfly, released by WowWee in 1997. In 1943, brothers Alvin and Earl Herdklotz established the A & E Tool and Gage Co. in Rockford, Illinois as a defense-based precision tool-and-die business. After World War II, focus shifted primarily to toy making. Operating under the name Midgetoy, the company began to produce basic, smaller-scale die-cast vehicles and airplanes at low price points.